J.R. is a June 2014 graduate of Hope Academy – Project SEARCH. Based on J.R.’s skills and personality, Hope Academy staff helped J.R. get a job with Big Chief Tire. Through Hope Academy – Project SEARCH interns like J.R. learn employability and job skills in three, 9-week internships at a host business. Like all interns, J.R.’s manager provided regular feedback and closely coordinated with the Hope Academy – Project SEARCH instructor and job coaches, ensuring that he had a valuable learning experience. 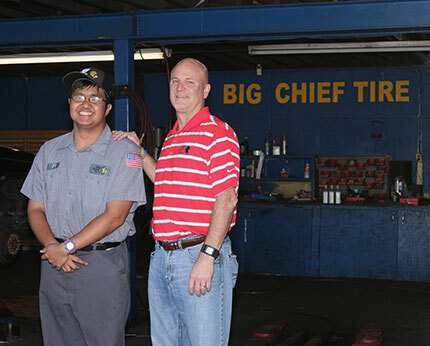 At the end of J.R.’s internship, he was offered his first job: a permanent position with Big Chief Tire. It’s been a life-altering experience for everyone.